Galentine’s Day is just as exciting for friends as Valentine’s Day is for lovers. Perhaps you haven’t heard of this unofficial holiday before; that isn’t surprising, as it gained prevalence quite recently. In the past few years, groups of friends have made their own Galentine’s Day traditions, celebrating on the 13th or the weekend after Valentine’s Day. Celebrate the holiday as it was intended by inviting your female friends to brunch. Wash down your waffles (as Leslie Knope would inevitably have ordered) with bottomless mimosas or bloody marys. Go around the table sharing stories about times in your lives in which you’ve relied on your female friends. As an added bonus, any time a friend mentions her boyfriend, husband or other non-platonic male, she buys the next round of drinks! If you’d rather stay in than go out with your galentines, have a party with a delicious assortment of foods that have been made with love. Assign your friends different roles – salad, appetizer, side dishes, desserts, etc. – so you don’t accidentally end up with five different salads. As the host, you can take charge with the main dish, making sure you adhere to any of your friends’ dietary allergies or restrictions. Looking to unwind and escape from the stresses of your everyday life? Maybe you’re feeling burnt out from work or exhausted from the tough task of being a mom. What better way to relax with your galentines than to hit a local spa? Schedule pedicures, facials and massages, and spend the day resting in the sauna and relaxation room. Some spas even offers “girls’ day out” packages, which include all the fixings at a lower group rate. You can even check Groupon to see if it has any budget-friendly spa options. Before your Galentine’s Day soirée, make sure you pick up presents to remind your female friends how much you appreciate them. You might decide to send them home with a tasty treat, like boxes of chocolates or homemade baked goods. Maybe you’d rather present them with something sentimental, like a framed photo of your group of friends. Or perhaps you’d rather give them something they can admire, such as a gorgeous arrangement of flowers. 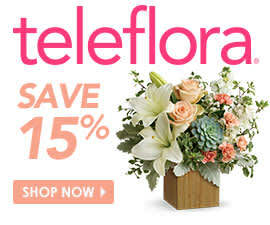 Shop Teleflora’s Valentine’s Day best sellers to choose from some of our most popular offerings. Just as Valentine’s Day is not reserved for romance, flowers are just as fit for friends as they are for lovers.